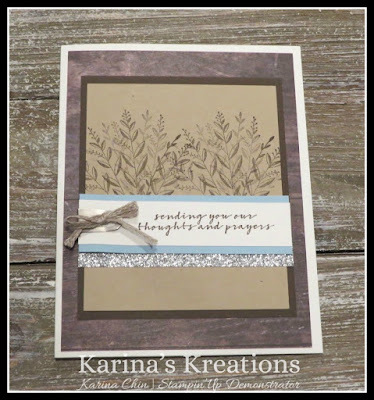 Karina's Kreations: Stampin'Up Wishing You Well Card! 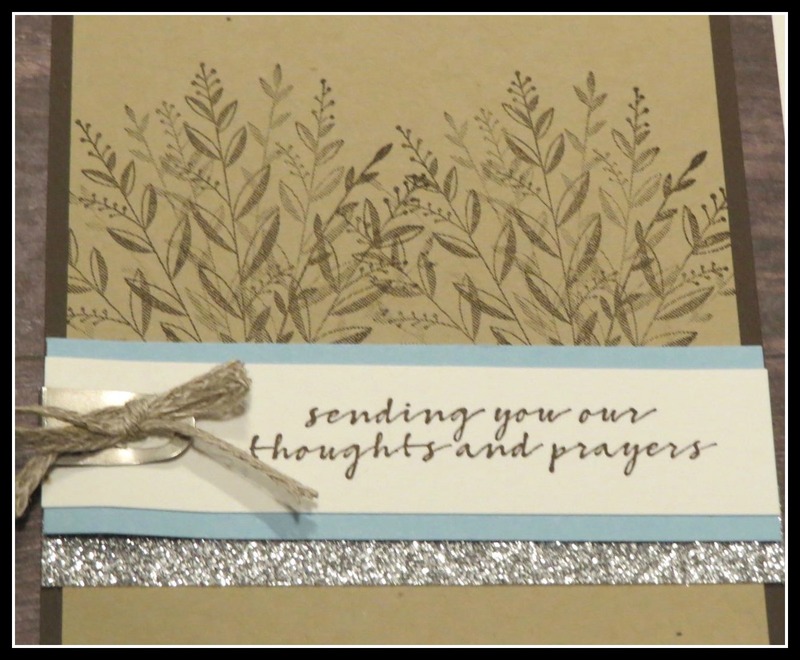 Stampin'Up Wishing You Well Card! 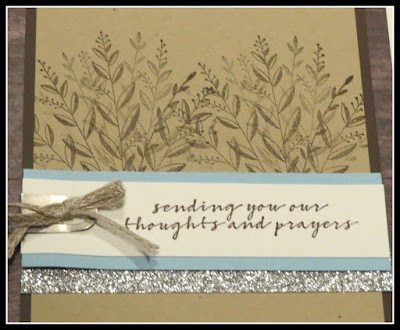 My stamp set of the month is called Wishing You Well. 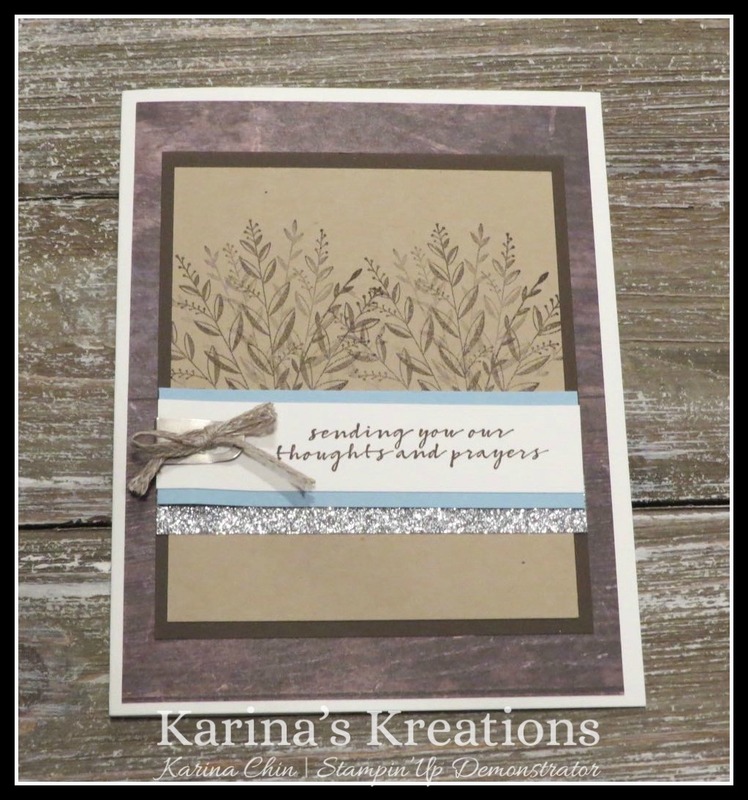 I love this stamp set because it has very versatile sentiments and is a distinktive stamp set. When you stamp the image you can see two different shades in the stamped image. The stamp set of the month is $30.95 and you'll receive the stamp set, a card kit and instructions to make all the cards. Contact me if you would like this month's kit.